Salivary gland cancer occurs in roughly every 1 in 100,000 people in the United States each year. This type of cancer is more prominent in older adults, and the average age at the time of diagnosis is around 64 years old. However, most of these neoplasms that occur in the major salivary glands, such as the parotid gland, are benign. Salivary gland lumps present unique challenges for physician as there are a broad range of non-neoplastic and neoplastic lesions. Additionally, salivary gland lumps are unique because there is a lot of overlap between malignant and benign neoplasms. This requires greater precision when it comes to performing biopsies and diagnosing the biopsy to ensure correct results. 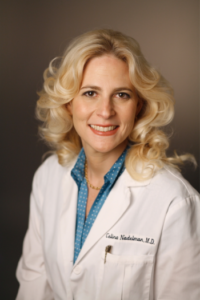 Recently, there have been exciting advancements in salivary gland cytopathology and diagnosis. Understanding what FNA is and why it works so well on lumps in your head or neck is key. First, FNA, orfine needle aspiration, is a type of biopsy that involves a very slim needle. This may be performed by a surgeon, ENT, GP, radiologist or a cytopathologist. Your fine needle aspiration specialist will guide this needle into your salivary gland to take a small sample of the tissue from the lesion in question. Sometimes, the FNA specialist will use an ultrasound to help guide the needle to the lump to help localize the lump. Once they have it localized, a small biopsy will extract cells from the lump, which will be sent to the lab for evaluation. 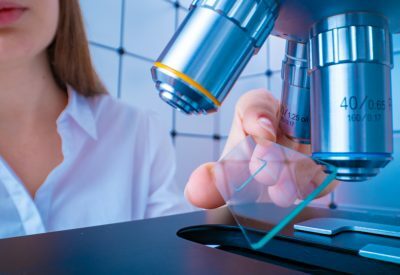 Only a cytopathologist has the ability to view the cells immediately, by staining a sample and looking under the microscope while the patient waits. There’s minimal downtime with this biopsy, as it’s minimally invasive. 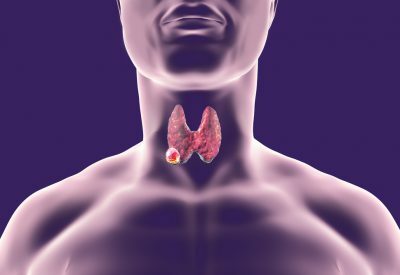 For this reason, it is the most popular way to diagnose a salivary gland lesions in addition to other head and neck masses, such as thyroid nodules. Depending on the results, your doctor will walk you through the next stages. If it’s benign, it means that your lump isn’t cancerous. If they find that the lump is malignant, or cancerous, they will discuss the next steps with you for your treatment. Minimally Invasive – Unlike other biopsy options, FNA is relatively minimally invasive. There is typically one or two small punctures where the needle goes in, and this reduces the chances of bruising or infection. It also reduces healing time, and the entire procedure usually lasts under 20 minutes. 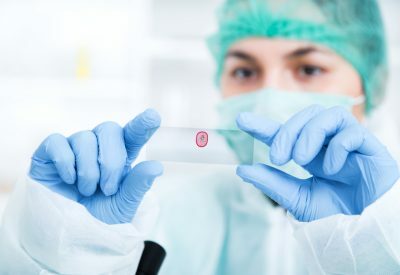 Quick Diagnosis – Depending on the FNA doctor and the medical facility where you have your FNA biopsy performed, you could have your results in as little as 24-48 hours. Most facilities give you your results within a week to 10 days at the most. This can help you start putting together a treatment plan quicker if it is malignant or cancerous. May Miss the Tumor or Malignancy– Since the FNA is a biopsy with a very small thin needle, it is impossible to sample the entire salivary gland. Depending on how experienced your fine needle aspiration specialist is with palpation or ultrasound-guided FNA, he or she may miss the diagnostic cells. This can lead to non-diagnostic biopsies (that is, you don’t get the answer) with a need to re-biopsy in the future. The main rationale of an FNA is to find out what is causing the lump. First, the FNA helps the doctor tell the difference between a lump/mass that is non-neoplastic vs. neoplastic. A neoplastic mass means that there is an abnormal or new growth of a “clone” of cells. A non-neoplastic mass means that the growth is not made up of clones but the growth can be due to something as simple as a cyst. The second purpose of an FNA biopsy is to tell whether the salivary gland lump is benign (non-cancerous) or malignant (cancerous). This helps divide the different lumps into set categories for different treatments. Salivary gland FNA is rapidly gaining attention from the research community. As they start to understand more about this challenging sector, they gain more research markers to help them categorize and diagnose salivary gland lumps. The future is bright for this research sector, and the diagnostic process is rapidly improving to give people a better treatment plan.